This piece is part of Tna’s exclusive capsule — an homage to iconic ‘90s-era streetwear. 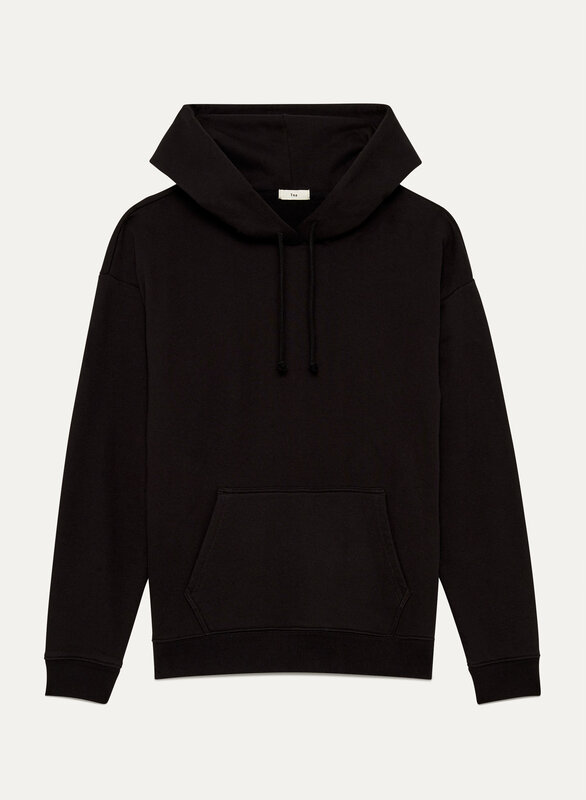 This laid-back hoodie is made with a cotton blend that’s soft and comfortable. Embrace off-duty style and wear it everywhere. I live in this sweater. I love it - worth it! Soft, not too thick,very comfy! I have black, red, and dark blue. Please make more in other solid colors, too! I stole the orange one from my friend and was so in love I had to buy the black and red one. I now have 3. Bought the medium/large because I like the super oversized hoodie look and it fits perfectly! Bought for my daughter who fits a medium, but likes oversized hoodies. Definitely fits large, I wear an XL hoodie and this was comfortable on me. Washes well and holds it's shape. this is THE perfect hoodie. Please make these in every colour. It is an oversized fit, but not overtly unflattering. The quality is great and definitely a more stylish hoodie with a comfortable fit and soft material. Perfect for when you are on the go and just want to throw something on. 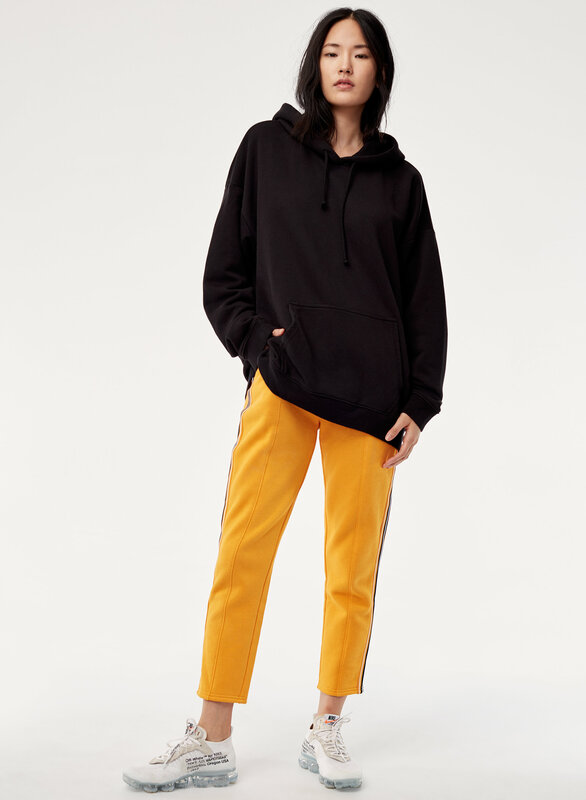 Again, Aritzia, please make these in more colours! I love this hoodie! So comfortable, affordable and just amazing! Such a great fit, and don’t get me started on the fabric. So soft! So comfy and soft on the inside! I love it. So comfy I ordered xs/s and I love the fit . Oversized but not too big and my normal size is xs or small ! i bought a larger size because i like when my sweaters are a bit baggie, but i didn't find the sweater was a reflection of the picture at all. slightly disappointing. I love this sweater. I ordered a large and I normally would take a small. I wanted a big comfortable hoodie that I could snuggle up in. This is perfect. Cute even for short girls! Super comfy! 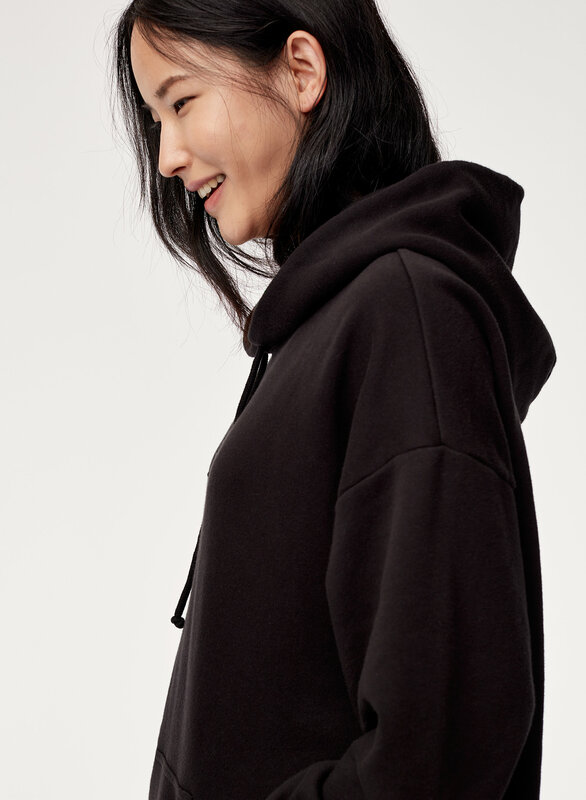 the Ravine style is a great everyday hoodie that gives you the perfect cute lazy day look. The hoodie is longer in length in the sleeves and the torso but standing at 5"1 it hits perfectly 5 inches below my waist for a cute oversized look. (for reference I bought size XS/S). This is a wardrobe staple! 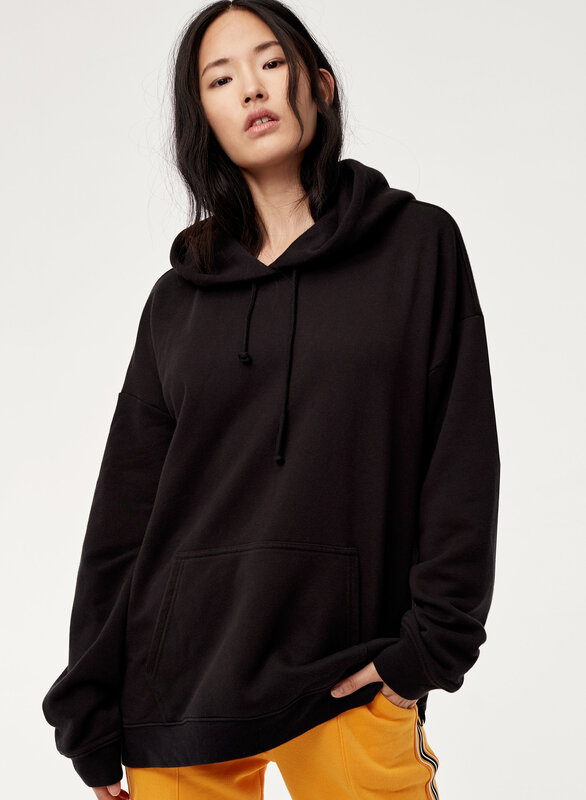 The perfect hoodie for those days you're running around and they look so chic with the Daria leggings! For reference, I am 5'3, 110 lbs, and took the XS/S and it is still loose enough to style as the "oversized" look. Very good material, soft and comfortable while making you look stylish! I would definitely recommend this product, it’s warm, cute and comfortable! Love this hoodie so much I have 3 now! Comfortable,cozy and soft. You can throw on everyday with anything!